PowerPlay NYC, Inc. based in New York, NY will receive a $10,000 grant in honor of Northwestern Mutual financial representative Lynn Chiavaro's exceptional volunteer commitment as part of the company's 18th annual Community Service Award program. 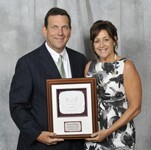 Chiavaro is one of 25 Northwestern Mutual financial professionals being recognized this year as exceptional volunteers. Since the start of the Community Service Award program in 1995, the Northwestern Mutual Foundation has donated more than $3 million on behalf of its representatives to over 300 nonprofit organizations across the country. 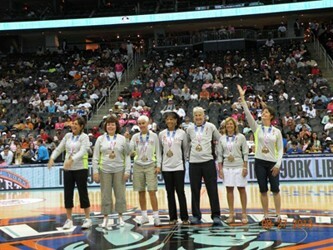 Connecticut Classics Two being recognized as National Champions at the New York Liberty game on August 27, 2013 at the Prudential Center in Newark. Whether you are concerned for your own financial needs or those of your family or business, I will work to understand your financial dreams and goals so I can help provide the right solutions and products at the right time.